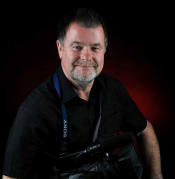 With over 800 weddings filmed, Dave Harwood video is one the Fylde's busiest and most experienced wedding videographers. For your assurance of quality and professionalism, Dave Harwood is a fully qualified Master Member of the Institute of Videography, a qualification only achieved by demonstrating a professional competent level in video production. The sheer number of testimonials received each year speaks for itself and the general feedback comment is that the completed DVD "is exactly the finished product that we had hoped for". Click here to view our latest demo. You will not regret a Dave Harwood DVD, It will probably be the best value for money service that you are likely to spend on your wedding, and something that will be treasured for many years. The true value of commissioning a wedding DVD can only be fully appreciated after the wedding. So many delighted brides have said after viewing their DVD... "after all the planning and expense, it is great to be able to sit down afterwards with family and friends and watch the wedding over and over again"
Of great importance, I pride myself on working with the official stills photographer in a relaxed and friendly manner. As a result of this professional behaviour and unobtrusive working style I am regularly recommended by many of them. 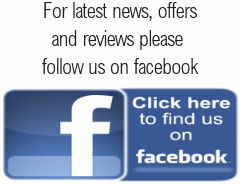 Please visit my Testimonials page to read a selection of comments from some of my many hundreds of delighted customers. I hope you will agree that my experience and qualifications will meet your needs.